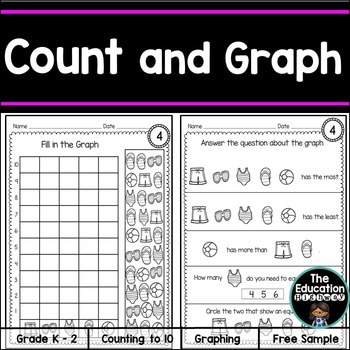 This count and graph freebie is perfect for young students learning to count to ten. It has three graphs with five questions about each graph. Students are asked to count the picture images and then fill in the graph based on the data. After you download please take a minute and leave feedback.